As I have shared before, my husband is Puerto Rican. Over the years his mother and sister have taught me how to make many different Puerto Rican dishes. Now, I want to master some of the desserts. Since holiday cooking is right around the corner, I figured now would be the perfect time to share some of our favorite Spanish desserts with you guys too! Let me give you a little history. My father-in-law and mother-in-law were both born and raised in Brooklyn, New York. As children their first language was Spanish in both of their homes. My father-in-law’s parents came to New York in the late 20’s from Puerto Rico. At the time they were young and did not know each other- both arriving here via ship. Once planted in New York they found each other and fell in love and had four boys, one of which was my father-in-law. I love the stories he shares of the authentic food they grew up eating. In the 60’s my fatherin-law and mother-in-law would go on to find one another in this busy city of New York. Together they had six children, one of which is my hunk of a husband.When my husband and his twin brother were one, they came to Texas. My mother-in-law did not want to raise her family in this busy and expensive city. Current day, I love the holidays at their home when my mother-in-law cooks authentic Latin food. At their house we have Puerto Rican Rice, and other easy recipes, with our turkey for Thanksgiving. My children love it. Right now I am on the hunt for the perfect dessert recipe to incorporate this year. 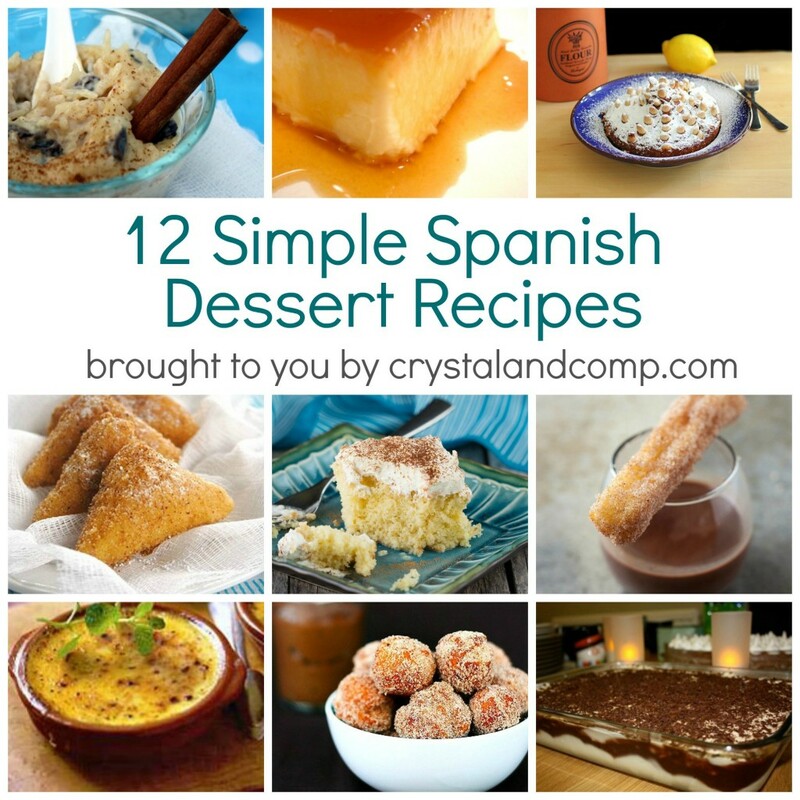 If you’re looking for simple Spanish dessert recipes, I have collected a list of my 12 favorites. Rice Pudding– this looks amazing and yummy. A very traditional Latin dessert. Arroz Leche (rice milk) is what it’s called in Spanish. My father-in-law says the kids went crazy when his mother would cook this. Now, my mother-in-law makes it for him. Leche Frita– these are fried milk pockets that are cinnamon-y. Hazelnut Flan– when I think of Spanish desserts, I think of flan. Love this one with hazelnut flavor. Best part? This recipe is made in the pressure cooker. Tres Leches Cake– this is hands down my favorite Spanish dessert- 3 Milks Cake. When we go to San Antonio you can find them every where! I like mine topped with fruit. Super fattening but 100% worth it! Spanish Pumpkin Almond Dessert– this looks delish. Pumpkin meets almond with a hint of lemon. Yum! Spanish Donuts– these donut balls are dipped in a spiced chocolate sauce. Churros– a fried classic that many kids love. My father-in-law loves this, he says. These are commonly found on many dessert menus here in Texas that serve Mexican food. Pavé– an easy Brazilian layered chocolate dessert. Puerto Rican Flan Cheesecake– my husband tells me his mother made cheesecake all the time when they were kids and it was amazing. I can only image what a flan cheesecake combination would taste like. 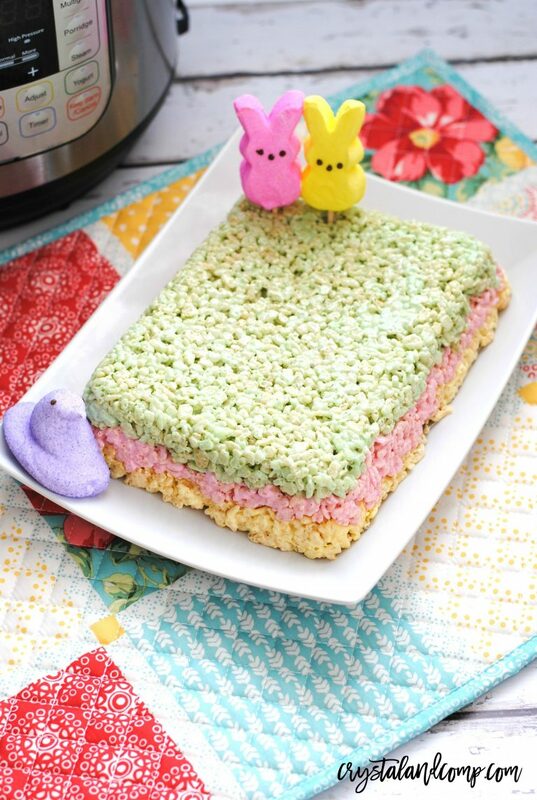 I am going to see if my mother-in-law will help me make this for Thanksgiving. Spanish Creme Brulee– I could eat this stuff for breakfast! Or dessert. Or both. Spanish Apple Pie – an apple pie with a custard filling that sounds divine! Chocolate Creme Brulee– reminds me of Brazilian inspired Catalana. Are you a Spanish dessert expert? What would you add to the list? Yum. These look so good. Pinned and ready to try them. Thanks for pinning! I am excited to try a handful of these too over the next month. Yum! This list has my mouth watering. I definitely want to try them all. I love to try new things. I really want to make a homemade Tres Leches Cake. It is on my list. Oh man, the Apple Pie sounds DIVINE!! 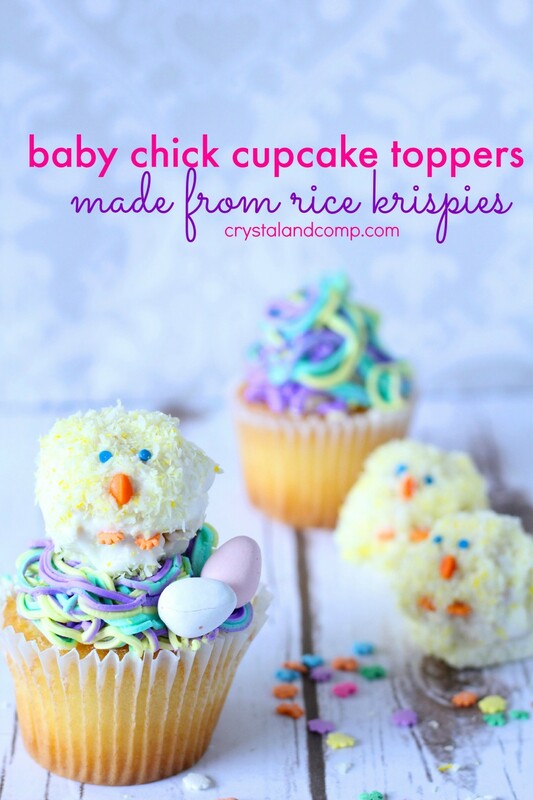 I saw this at the Mommy Club weekly linky and just had to click on through. 🙂 I am adding you to my Pinterest schedule, too because I want to pin it to my boards! Yummy! Thanks so much for sharing it on the linky! Isn’t that an interesting take on apple pie? Yum! My husband loves Flan too. And the Hazelnut Flan just sounds amazing. Looks like a wonderful Spanish Party of fabulous desserts. Thanks so much for sharing your great recipe with Full Plate Thursday and enjoy your Thanksgiving week! Muy delicioso! Yo hago el pan de tres leches. Es muy Rico y dulce.. Mi familia encantan!